Good coffee is always the best find when travelling overseas. Australians love their caffeine and so discovering a coffee oasis in Bali is certainly something to make the heart sing. 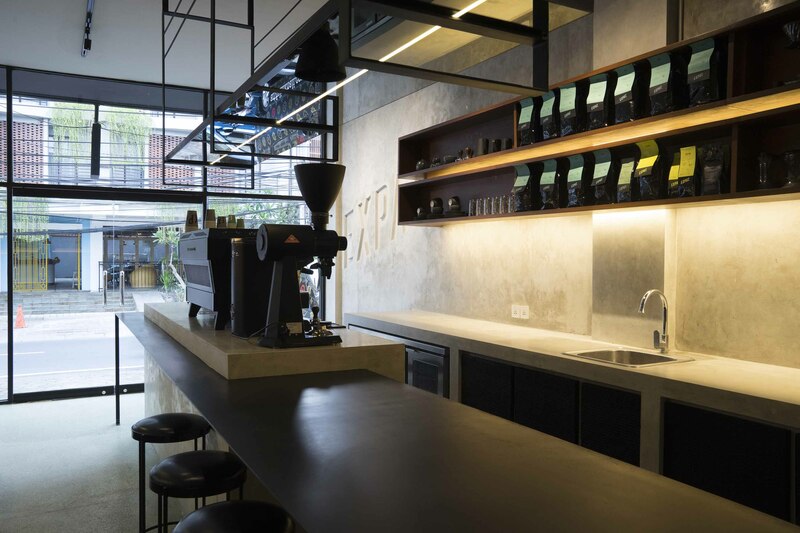 The brand Expat Roasters initially established itself two years ago providing wholesale coffee to upmarket restaurants and hotels, but a few months ago it moved to new premises in the vibrant Seminyak area. The wholesale business is a great success and Expat Roasters servicing some 200 venues across Indonesia; however, it was also essential that there be a street presence for coffee drinkers to help spread the Expat Roasters brand and reputation. 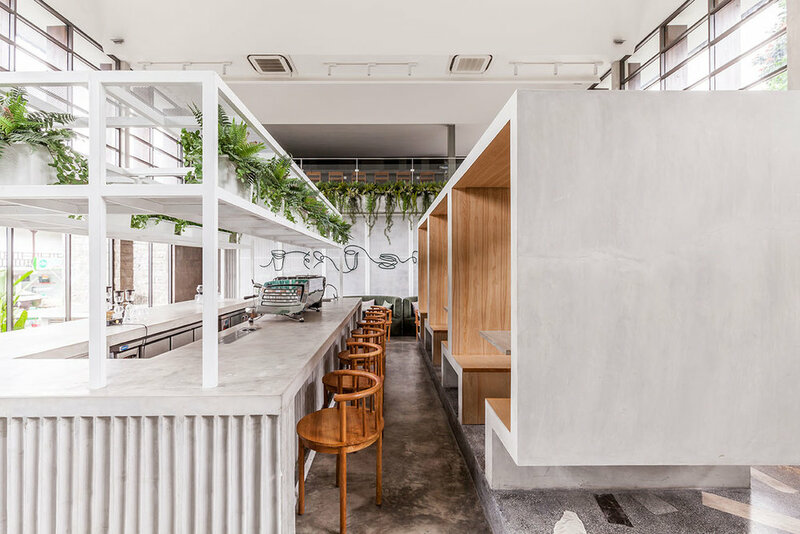 Sydney-based design studio X+O was awarded two Bali commissions with Expat Roasters, the first being the small café on the busy Petitenget Road in Kabupaten Badung, Seminyak and the second in Ubud. 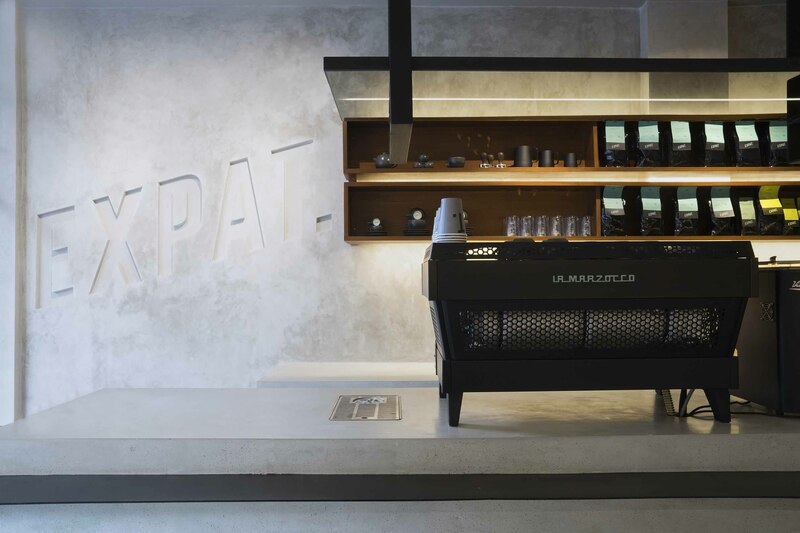 Principal of X+O, Rebecca Vulic was lead designer on both projects and has interpreted the briefs perfectly with a lightness of touch and clever spatial planning that encapsulates the Expat Roasters experience and brings a sophisticated design to both interiors. 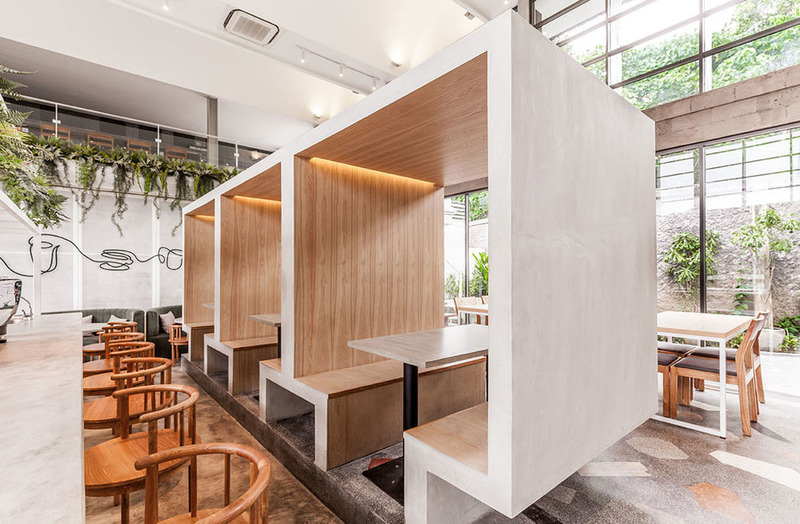 In Seminyak, the small footprint of the café offers inside seating for no more than 20 people seated at black powder-coated steel topped tables with timber chairs and black leather pad seats, and there are black steel powder-coated stools at the countertop. There is also a black leather cushion-topped banquette seat at the window next to the workstation and seating for another half dozen people outside. At the entrance is a small timber coffee bar displaying the variety of beans for sale. One half of the floor space is taken up with a large freestanding concrete counter, La Marzocco coffee machine and an adjoining slimline black steel countertop. Above is powder-coated matte black steel shelving and recessed lighting. At the rear of the premises is a tiled staircase that leads upstairs to a small ‘cupping’ room where coffee seminars and classes are held for clients. Here the floors are timber boards in a variety of warm honey hues and there are freestanding counters on casters in black laminate that can be moved around and easily reconfigured within the space. Full Circle by Expat Roasters in Ubud, on the other hand, is a large and generous hospitality offering. The interior continues the materiality of concrete and timber, but there is a more luxurious use of marble and stone that adds texture and colour. The palette of white, light grey, green and honey with accents of black continues throughout the coffee bar, restaurant and a whisky bar. 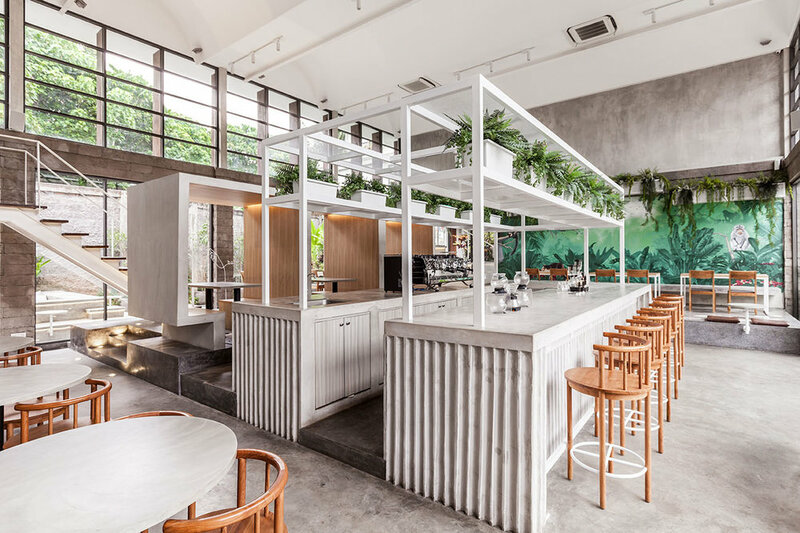 There is a large outside dining area with concrete banquette and communal seating and Balinese teak timber tables and chairs with black leather cushions. 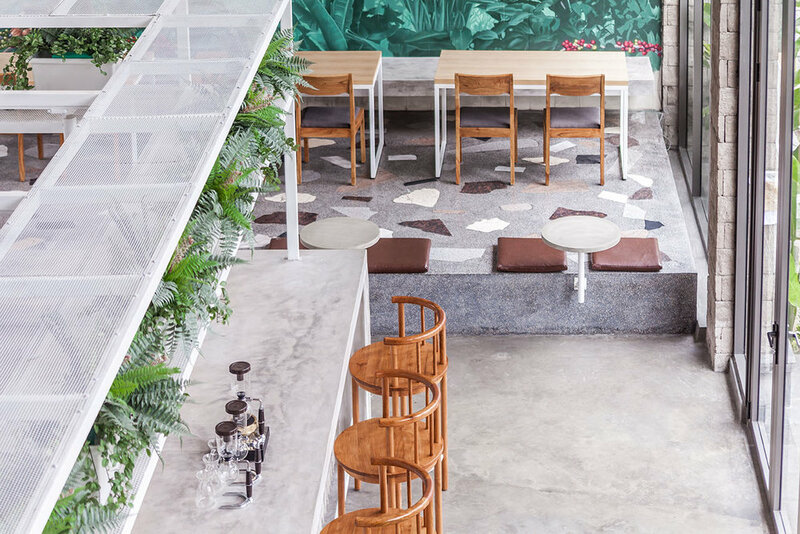 At the entrance to the café and restaurant there is a feature wall of hand-painted tiles that reference the Ubud rainforest and coffee beans and within a freestanding, bamboo pre-cast concrete counter and timber chairs that sit atop a terrazzo floor. 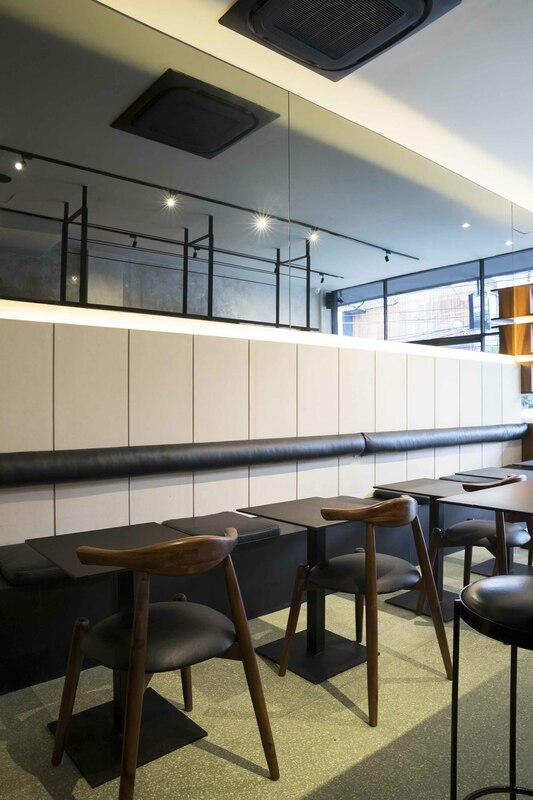 Cleverly, X+O has provided a more intimate area for diners with the inclusion of individual timber clad booths. There are also stairs that lead to the first level and the whiskey bar with outdoor balcony. 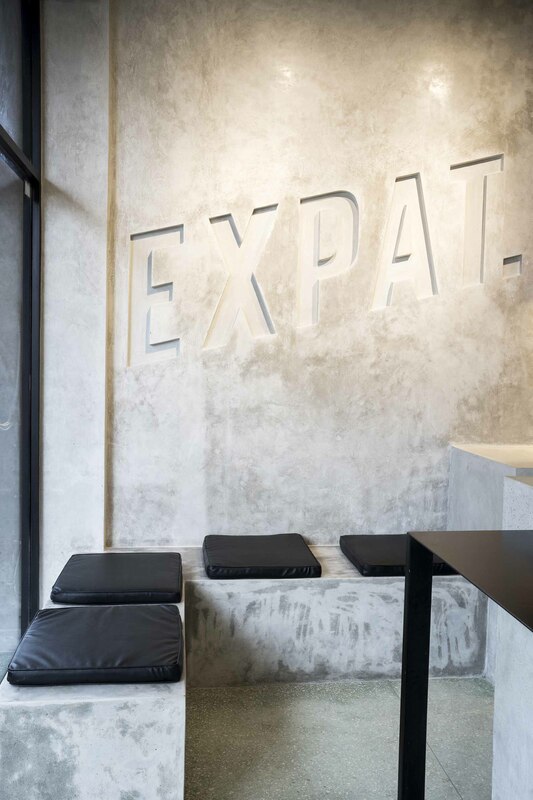 Expat Roasters is expanding and will soon be looking to establish an outpost in Jakarta, but at the moment whether in Seminyak or Ubud this is the place for great coffee to be enjoyed in relaxed and sophisticated surroundings.